Foot orthotics are inserts that go in to your shoes and are custom-made to prescribed specifications. 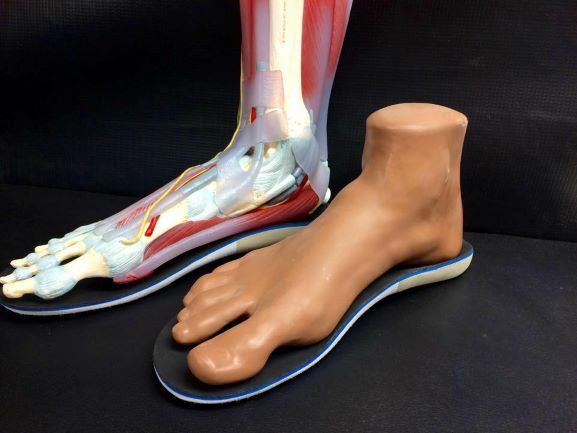 Dr. Buhay can assess you to see if orthotics would be the right fit for you, we have a state of the art 3D Laser scanner right here in the clinic and can order them for you! We offer a very unique kind of orthotic called the Peak Dynamic Rehab Orthotic. 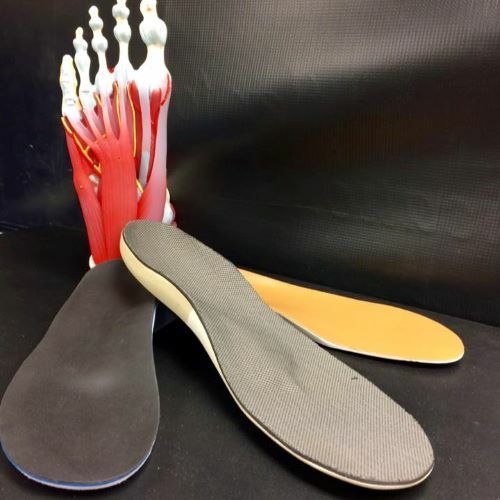 These rare types of orthotics are of a higher quality and more effective than the prefabricated orthotics you can buy in the store “off the shelf”, and are superior to even other kinds of custom made orthotics! This particular device focuses on activating the flexor muscle group through gait. This creates a stronger foot, as opposed to just supporting the arch, like other orthotic devices. The Peak Dynamic Rehab Orthotic has proven effective by helping to cure many foot conditions such as; Plantar Fasciitis, Patellofemoral Syndrome, Achilles Tendonitis to name a few. This device is the sustainable approach to custom orthotic treatment. Most extended health benefit plans cover orthotics, check with your provider for details.